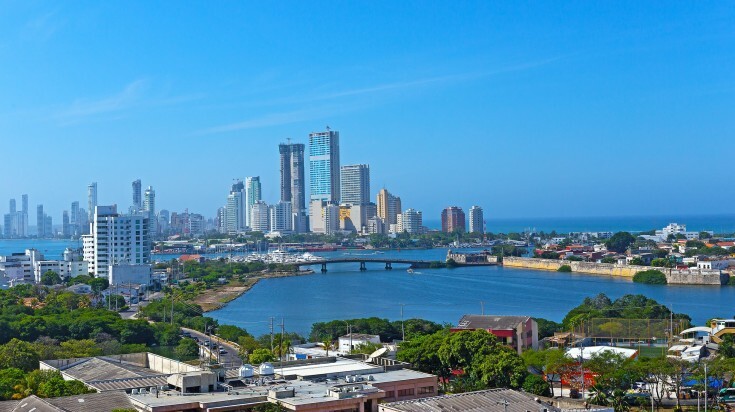 While Colombia may not have always been a popular tourist destination, the country has been attracting more and more visitors over the years particular after the 1990s. 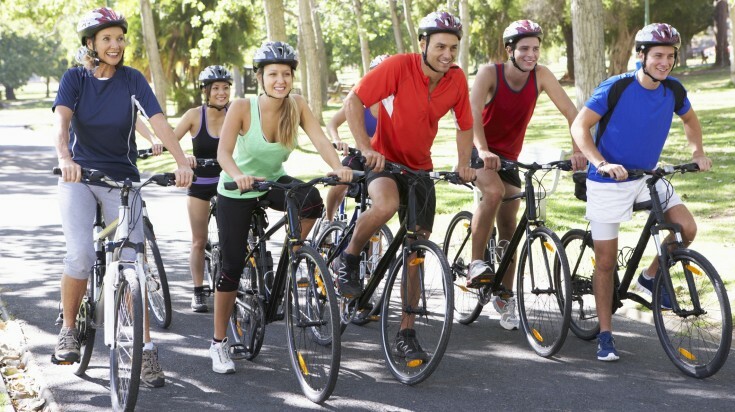 The country offers some incredible excursions and tour options - from coffee tasting and cycling routes to sprawling beaches and captivating museums. You could so much time exploring Colombia and all it has to offer, and it can be hard to figure out what to pack into a single short trip. To help you make the most of your time in this beautiful, diverse country, here are 12 things you can do on a short trip to Colombia. Where else could you experience such stunning beauty and fascinating history at the same time? Colombia’s Caribbean Coast is equally known for its long, sandy beaches and its historical sites. 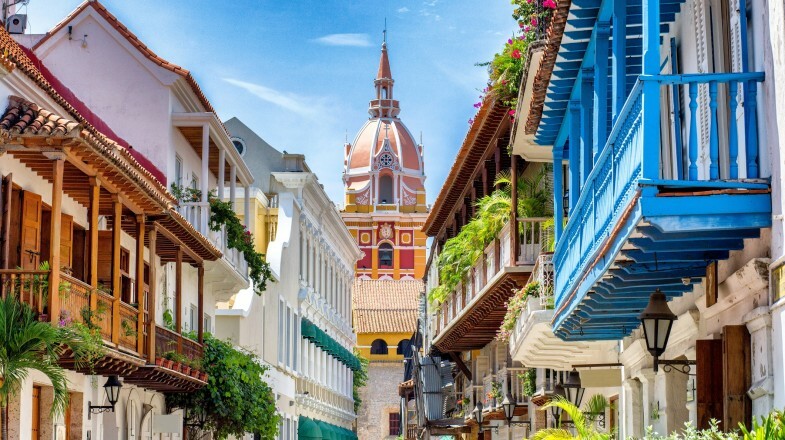 Cartagena is the jewel in the Caribbean Coast’s crown. Tour this beautiful colonial city to really see the Spanish influence on the country. You’ll want to look up here, as a lot of the city’s charm comes from its gorgeous architecture - from ornate balconies to details on the colonial houses that line the streets. Best time to visit: November, when you can enjoy Cartagena carnival! 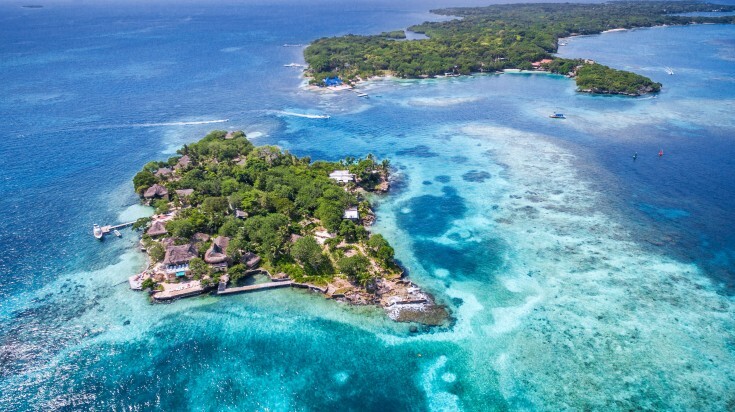 If you make it to Cartagena, you simply can’t miss the nearby Islas del Rosario. This archipelago is made up of 47 islands, so you’ll want to make a full day out of this adventure. It is also one of Colombia’s 46 national parks. The islands sit just about 35 km off the coast of Cartagena and are a true tropical paradise. Trust us - you’ve never seen turquoise waters like these before! You can visit the islands by grabbing a boat ride at the port in Cartagena. The islands have some truly beautiful beaches and crystal clear waters - perfect for snorkelling and diving, so be sure to pack your swimsuit! Perhaps Colombia’s most popular destination among visitors, the Coffee Zone (or the Zona Cafetera) is made up of three municipalities: Quindío, Risaralda, and Caldas. 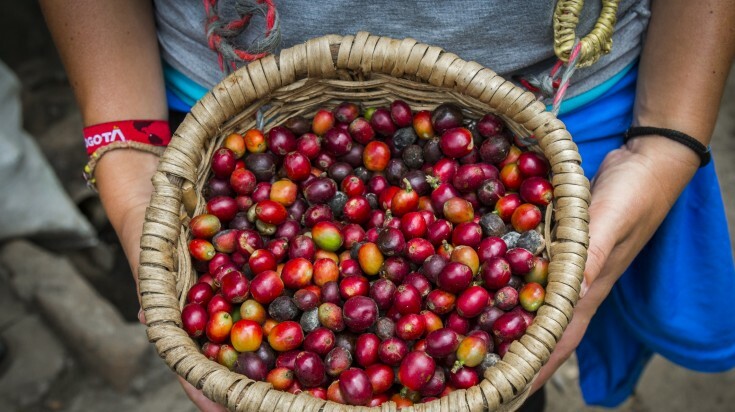 By visiting one of the region’s ‘fincas’ (coffee farms), you’ll taste some of the freshest, most authentic coffees in the world with flavours you’ve never experienced before. Even tea drinkers will love a tour of this region! 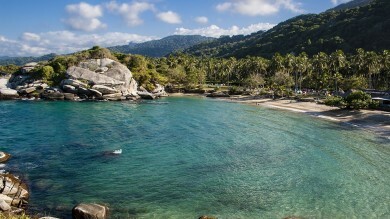 Tayrona National Park is another of Colombia’s beautiful national parks. This particular park offers an incredibly diverse landscape. Inside, you’ll find everything from azure sea waves crashing onto white sandy beaches to lush, vibrant tropical forests teeming with wildlife. 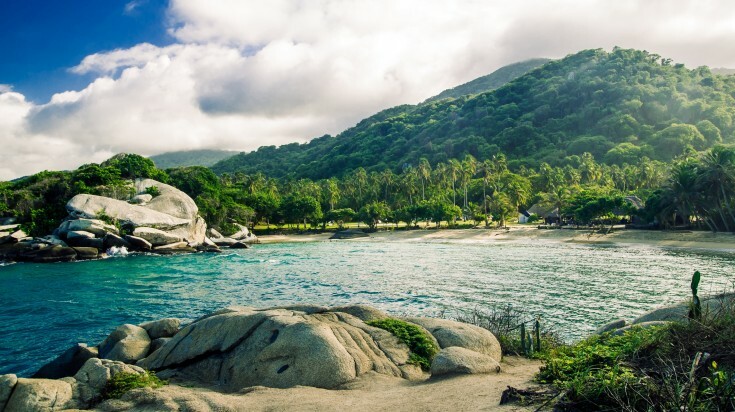 Parque Tayrona (Tayrona Park) is another of Colombia’s beautiful national parks. This particular park offers an incredibly diverse landscape. Inside, you’ll find everything from azure sea waves crashing onto white sandy beaches to lush, vibrant tropical forests teeming with wildlife. If you choose to hike through the park, you’re in for a real treat. One second you’ll be walking along the shore, the next you’ll find yourself trekking through a dense jungle. It’s the experience of a lifetime. Best time to visit: December to April, especially if you want to visit the beaches! If you’re a fan of colonial architecture and history, Villa de Leyva is a must-see! This beautiful historical town is located about four hours from Bogota by car. It is rich in history and played a huge role in the fight for Colombian independence from the Spaniards.If you’re a fan of colonial architecture and history, Villa de Leyva is a must-see! 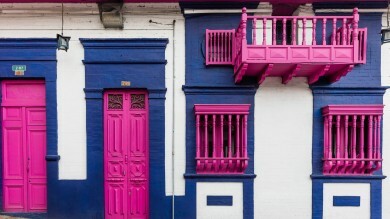 This beautiful historical town is located about four hours from Bogota by car. It is rich in history and played a huge role in the fight for Colombian independence from the Spaniards. We highly recommend taking a horseback tour of the town, so you can experience its beauty and learn more about its history (while saving your energy for all those hikes you want to do!). Bogota is Colombia’s capital city, meaning it is quite busy and boisterous (as capitals tend to be). However, that also means there is a great deal to see and do here! One of the most popular destinations in Bogota is the Museo de Oro, or the Gold Museum, receiving more than 50,000 visitors a year! Inside, you’ll find the world’s largest collection of gold artefacts (and lots and lots of sparkle). 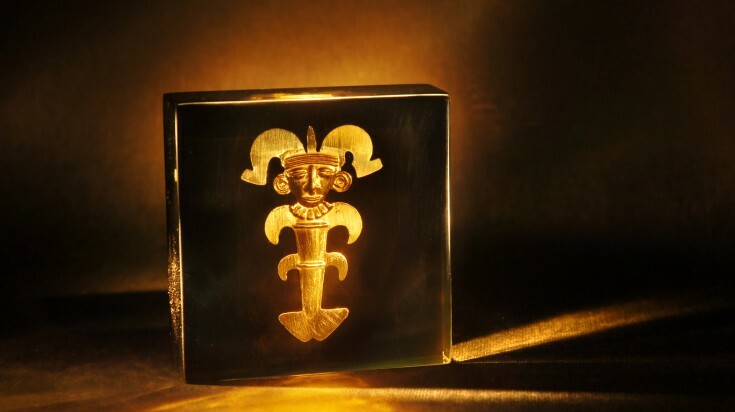 You can also learn about the impact gold had on Colombia’s history and its significance to the country’s indigenous tribes. Best time to visit: Anytime! The museum is open 9am-6pm on Tuesday-Saturday with shortened hours of 10am-4pm on Sundays. It is closed on Mondays. This one isn’t for the faint of heart - but it is an absolute must if you’re looking for a life-changing experience on your visit to Colombia. 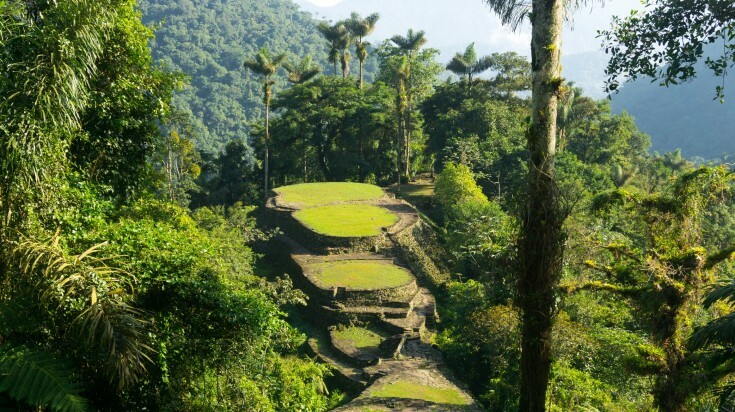 Ciudad Perdida, or the Lost City, is only accessible by foot and it’s a somewhat challenging four- to six-day trek to reach it. But you can trust us, the views are well worth it! This one isn’t for the faint of heart but it is an absolute must if you’re looking for a life-changing experience on your visit to Colombia. Best time to visit: Trek between December to April if you want to avoid the insects! Colombia’s capital city has so much more to offer than just spectacular museums - there’s also some amazing restaurants, historical corners, beautiful architecture, cultural sites, and even craft breweries. There are plenty of ways to explore Bogota, including by foot or public transportation, but we highly recommend checking out one of the city’s bike tours. It’s a fun way to get to know the city’s many unique corners and hot spots, plus you’ll get all sorts of insider tips from your tour guide. Entrance fee: No fee to visit the city! It’s no wonder this is on our list - many people visit Colombia (and South America in general) just for a taste of the Amazon rainforest! After all, nearly one-third of the country is covered in dense, lush jungle. 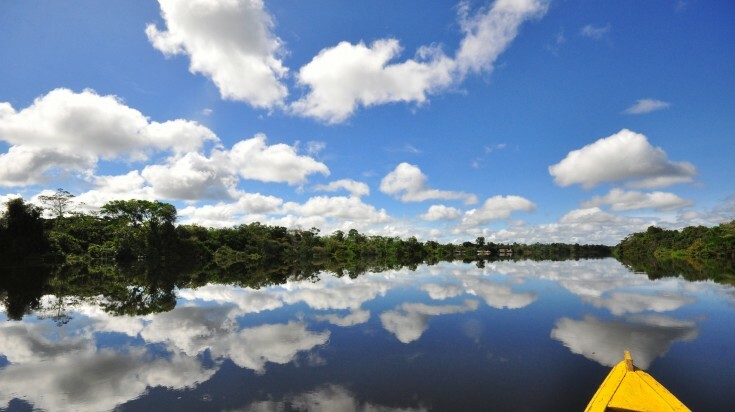 If you’re looking for some gorgeous scenery and a glimpse at Colombia’s diverse wildlife, a trek through the Colombian Amazon is an absolute must. No, not California. Cali is a boisterous city in the south of Colombia and is in fact known as the country’s salsa capital! Here you’ll find plenty of fantastic salsa clubs, particular in the Barrio Juanchito area of the city. The nightlife in Cali really starts to heat up in the early hours of the morning (post-midnight), but there are plenty of bars to visit before you hit the dance floor. So get dressed up and wear some comfortable shoes - you’ll be dancing until the sun comes up! Not far from the busy city of Bogota you’ll find the quiet, quaint paradise of Zipaquirá. A beautiful colonial town, it is also home to an underground salt cathedral (the Salt Cathedral of Zipaquirá) that attracts thousands of visitors every year. 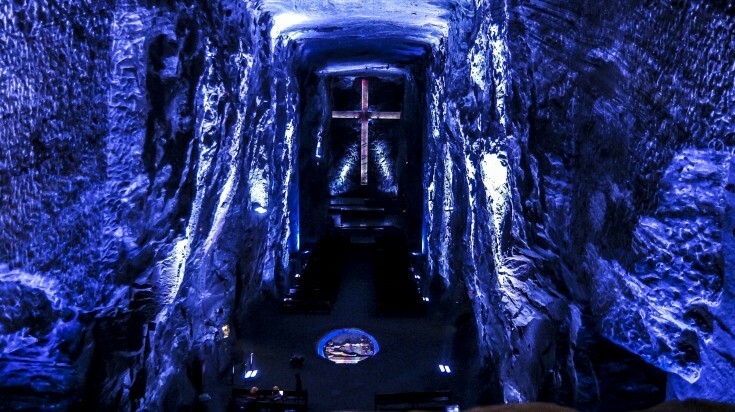 This church was built in the 1950s in the tunnels of a former salt mine by the town’s miners and sits an impressive 200 metres underground! It’s considered to be one of the greatest examples of modern Colombian architecture. Catholics from around Colombia and beyond come here every year. This one isn’t for beginners: Alto de Letras is the longest cycling climb in the world, raising about 3,700 m over just 80 km! Despite the steep incline and the thin mountainous air at the top, avid cyclists travel from around the world every single year to take it on. It takes around 5 hours to complete. If you’re up for the challenge, the climb starts in the town of Mariquita and travels all the way up to the top at the Páramo de Letras pass. Bear in mind that the temperature drops significantly as you go up: starting at about 20-30°C at the bottom but dropping to 5-1°C at the top. These just some of the great things you can do on a short trip to Colombia. However, this country hides many secrets at every corner — watch out for the quaint coffee shops, the amazing street art or the lovely colored houses that line the street. Colombia has something for everyone!